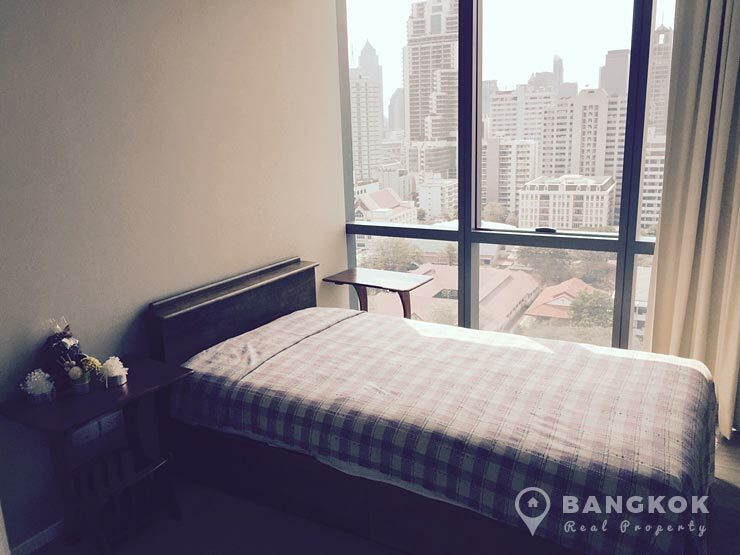 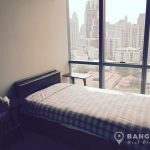 A modern, spacious, 2 bedroom duplex unit is now available to rent at The Room Sukhumvit 21 Asoke centrally located in the heart of Asoke within walking distance of all CBD amenities and both the BTS and MRT. 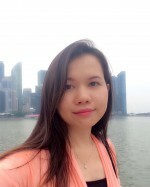 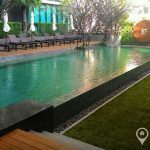 This high rise condo by Land & House, built in just 2013 is close to Terminal 21, GMM Grammy Building, Exchange Tower, Pullman Sukhumvit Hotel and Benjakiti Park. 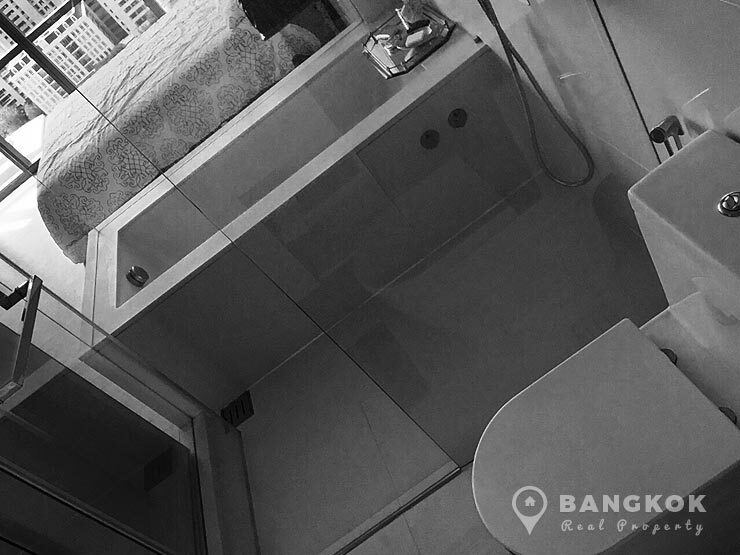 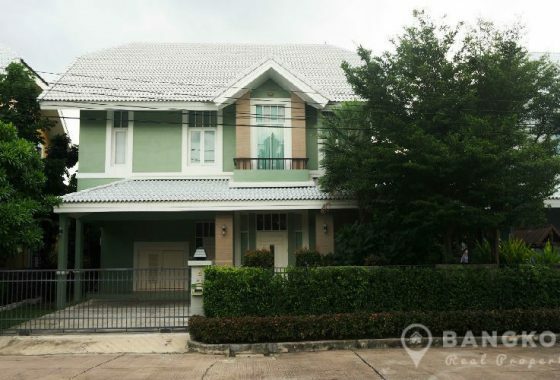 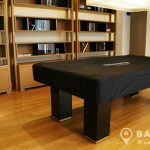 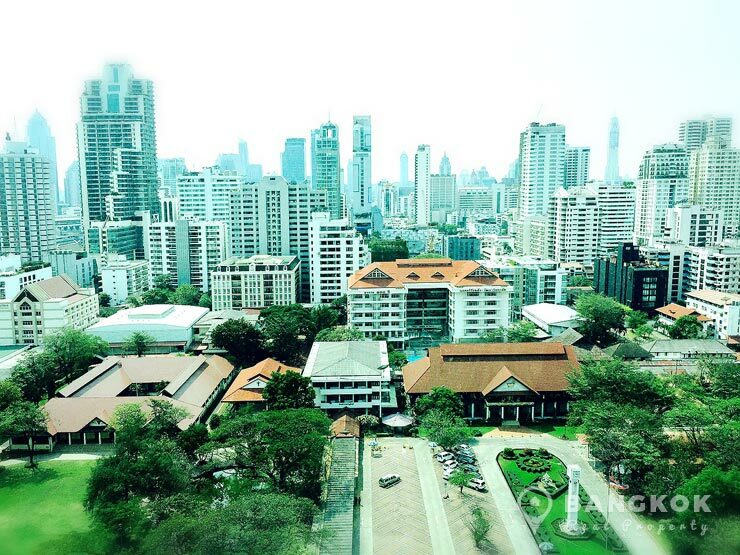 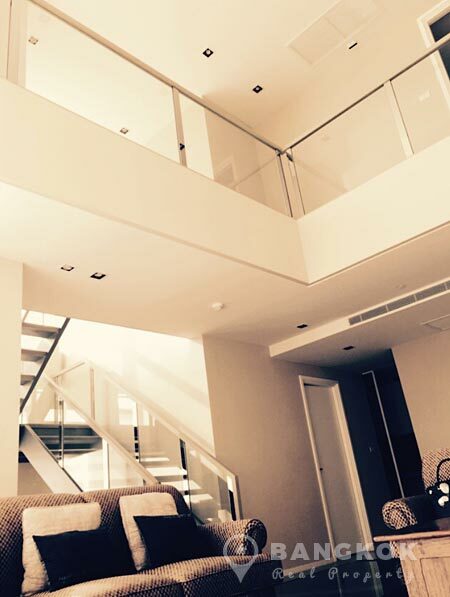 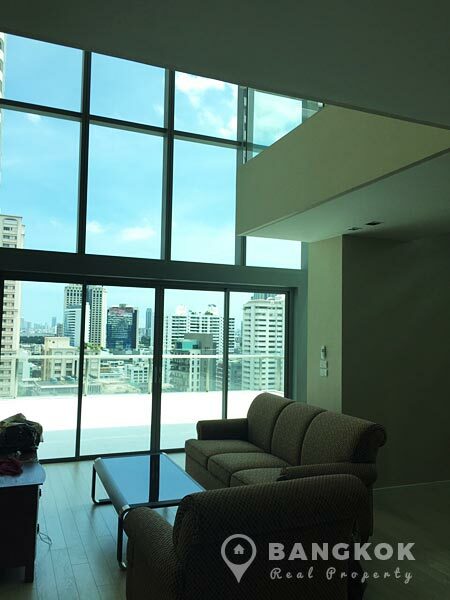 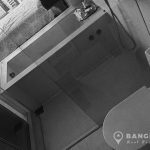 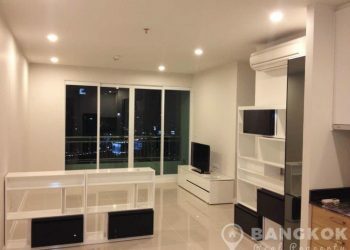 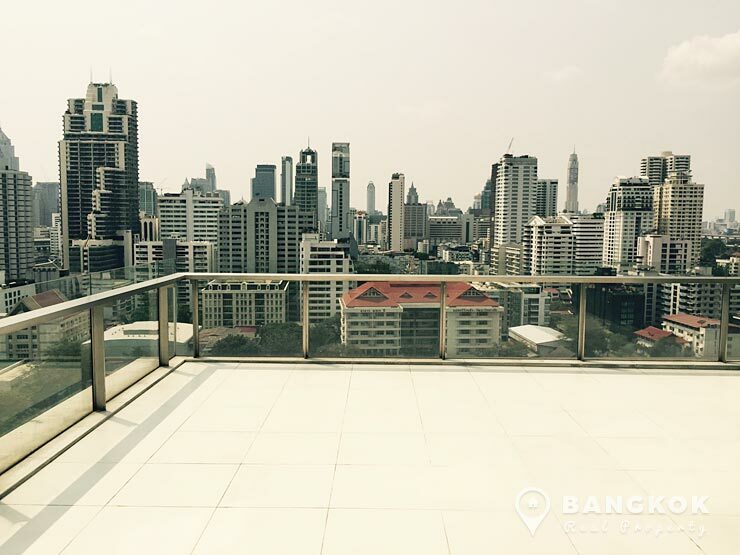 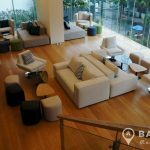 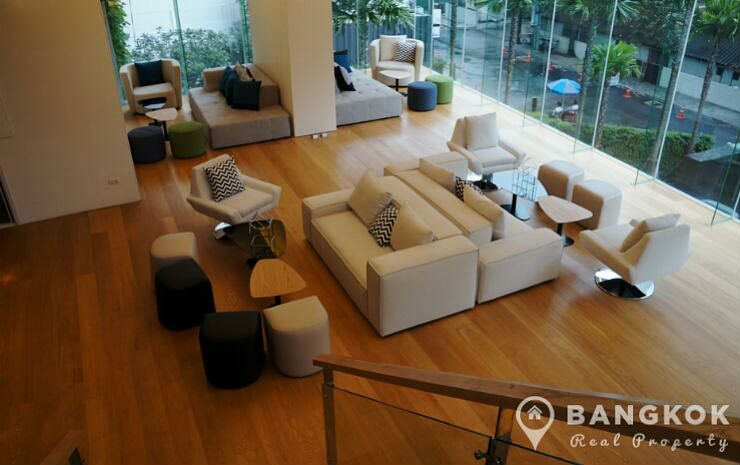 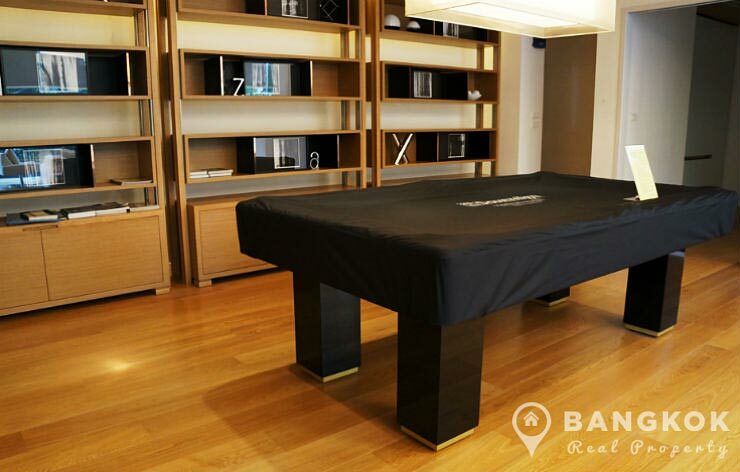 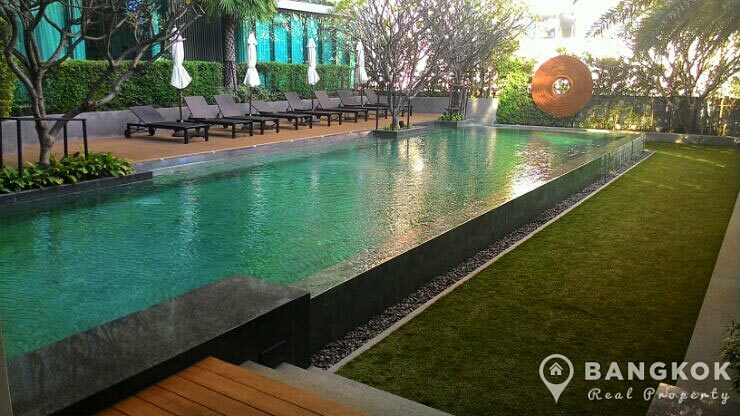 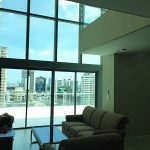 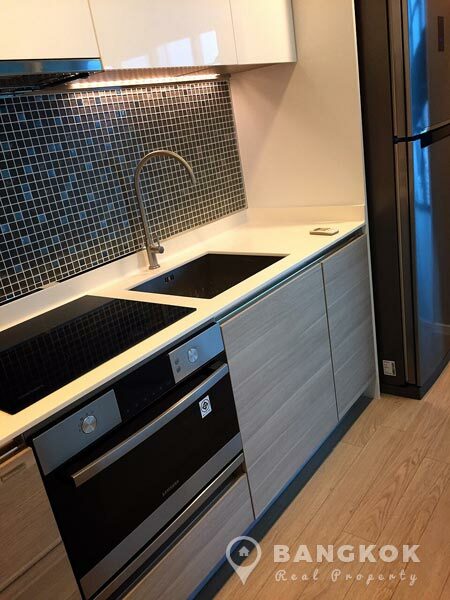 On a mid floor of The Room Sukhumvit 21 Asoke, this modern 2 bedrooms, 3 bathrooms, duplex (2 floors) condo with 139 sq.m and a huge private terrace with stunning views of Asoke and Nana. 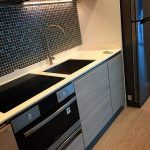 An open plan livingroom and kitchen is fully fitted with European style kitchen with electric hob and oven and fill appliances and the livingroom is double height opening onto the private terrace. 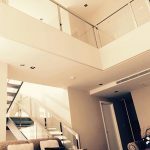 Upstairs there are 2 bedrooms, the master bedroom has an ensuite with shower and bathtub and bedroom 2 with a main bathroom.